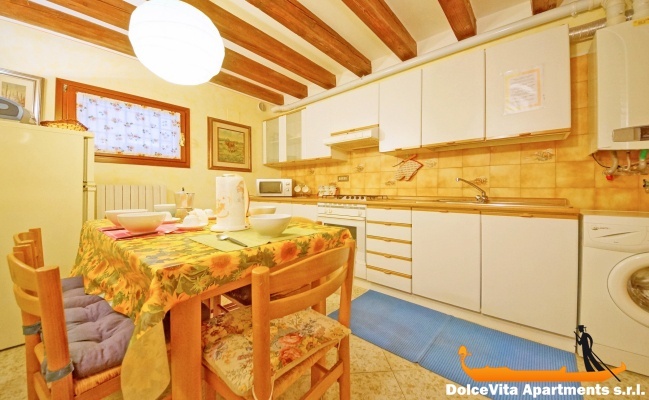 Apartment N. 294: It can accommodate up to 7 people, it is rented from 244 € per Night (not per person). 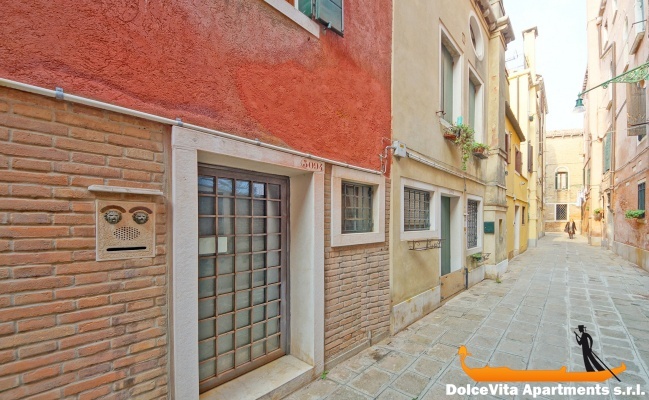 Venice Apartment San Marco for 7: Cozy apartment in the center of Venice in “San Marco” district. 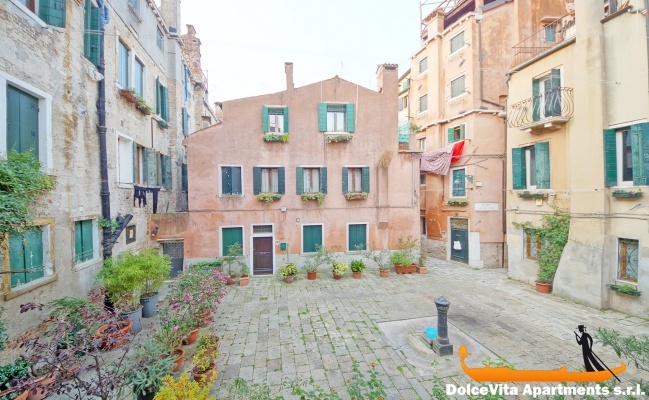 It is in the heart of Venice, a few minutes from “Piazza San Marco” and less than 150 meters from the famous “Palazzo Grassi” Museum. Its central location makes it an ideal starting point to visit easily the enormous cultural and artistic heritage of the city, characterized by a unique atmosphere in the world. 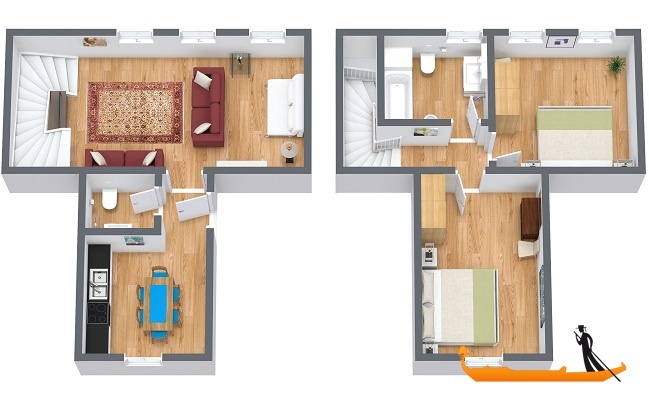 The apartment is on two levels (ground floor and first floor) and can accommodate up to seven people. 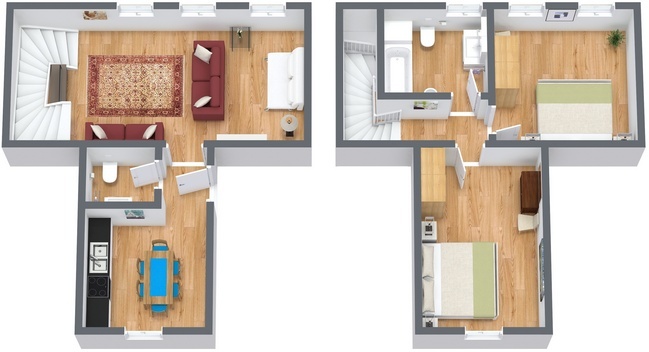 On the ground floor there are the kitchen, the living room and a bathroom. A wooden staircase leads upstairs where there are two comfortable double bedrooms and a large bathroom with tub and shower. Besides the four sleeping places in the bedrooms, there are two sofa-beds (one double and one single) in the living room. Among amenities available, we remind Wi-Fi connection, TV and heating system. 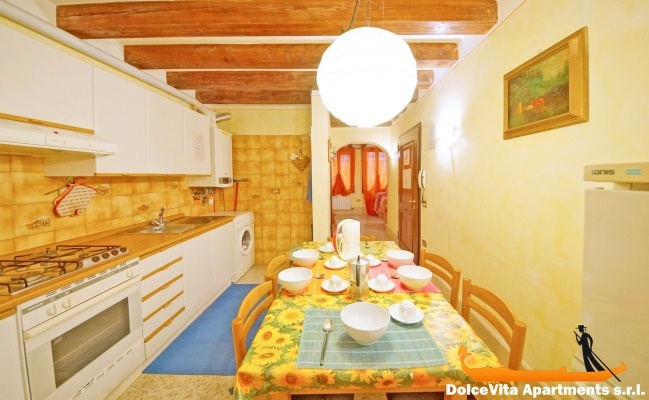 The kitchen is fully equipped and includes a refrigerator, oven, microwave and washing machine.